Video – Horizon FPV Challenge « Big Squid RC – RC Car and Truck News, Reviews, Videos, and More! The folks at Horizon Hobby have put out a cool video featuring the new Blade Nano QX FPV quadcopter. In the video below you’ll see “The Steve”, Horizon’s version of The Stig, going to head to head against “The Red Giant” on a very cool quadcopter course that even includes a bowling section. 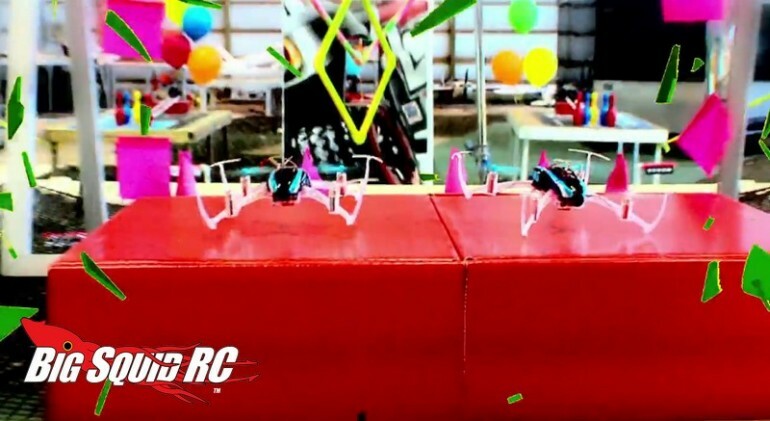 Yes, the video shows bowling with rc quadcopters! The video is short and worth a watch so check it out to see what kind of fun you can have with FPV quads. The Blade Nano QX FPV with Fat Shark Teleporter V4 5.8GHz headset shown in the video is available right now with a street price of $419. To get more details hit up This Link over on the Horizon Hobby website. Click Right Here to watch more rc videos on BigSquidRC.